[12 September 2017, Hong Kong] on September 11th, the White Paper themed by “Winning the Race in the Era of Intelligence” was released together with the Hong Kong X Innovation and Startup Youth Forum was held at Island Shangri-La, Hong Kong to vigorously promote the technological sci-tech innovation development concept and actively respond to the “Guangdong-Hong Kong-Macau Big Bay Area Initiative”. HONG KONG X-Tech Startup Platform (HKX) discussed the road ahead of Hong Kong’s sci-tech innovation development with experts and young entrepreneurs from academia, business, and investment community at the 20th anniversary of HKSAR’s establishment and the 1st anniversary of HKX’s establishment. Sci-Tech Innovation, which is the theme that closely linked with the pulse of the times became the highlight, has drawn much attention from all walks of life during the event. Mrs. Carrie Lam, Chief Executive of the HKSAR; Mr. CHEN Dong, Deputy Director of the Liaison Office of the Central People’s Government in HKSAR; Mr. Neil Shen, Founding Managing Partner of Sequoia China and Chairman of HKX; Mr. Pony Ma, Chairman and CEO of Tencent Holdings Limited, Honorary President of HKX; Mr. Bernard Chan, Convenor of Hong Kong’s Executive Council, JP; Mr. Nicholas W. Yang, Secretary for Innovation and Technology Special Administrative Region, JP; Prof. Tony Chan, President of HKUST; Prof. LI Zexiang, Professor of HKUST and Co-Founder of HKX; Mrs. Eva Cheng Li Kam-Fun, Executive Director of Our Hong Kong Foundation; Mrs. Fanny Law, Chairperson of the Board of Directors of the HKSTP, JP; Prof. Lap-Chee Tsui, President of the Academy of Sciences of Hong Kong; Dr. George Lam, Chairman of Hong Kong Cyberport Management Company Limited; Mr. CHEN Shuang, Executive Director and Chief Executive Officer of China Everbright Limited; Mrs. WANG Yanxia, Deputy Director of the Authority of Qianhai; Prof. CHEN Guanhua, Professor of HKU and Co-founder of HKX; Mr. Daryl Ng Win Kong, Executive Director of Sino Group and Mr. Yau Man-fat, general manager of industrial leasing department of Sun Hung Kai Properties and other guests have attended the event. Celebrities from all walks of life attend the event to discuss the future of Hong Kong’s sci-tech innovation development. Mr. Neil Shen delivered a speech during the event. He reviewed the milestone and achievements of HKX over the last year. Mr. Neil Shen said, ‘The establishment of HKX was an entrepreneurship itself. At the beginning, I had concerns about whether the combination of “incubating by mentors”, “NGO” and “venture capital” business model of HKX would make a success. However, as we look at this moment, the situation is much better than expected. HKX, a startup incubator in Hong Kong, has an outstanding character of “human-oriented”. First of all, in order to retain domestic talents, we should provide a better ecosystem for innovation and technology in Hong Kong. Secondly, we have to attract overseas talents, including talents in Mainland China to Hong Kong. Thirdly, we should improve traditional education curriculum for the need innovation and technology. Mr. Neil Shen delivered a speech during the event. He reviewed the milestone and achievements of HKX over the last year. Mr. Pony Ma brought up his own “Three Key Cards” in his speech. ‘The first card is “Bring In”. I hope the government will adopt more policy to attract domestic and overseas advanced talents. The second card is “Grow Up”. The government should create a favourable environment for the self-development of talents. The last one is “Combine Together”. 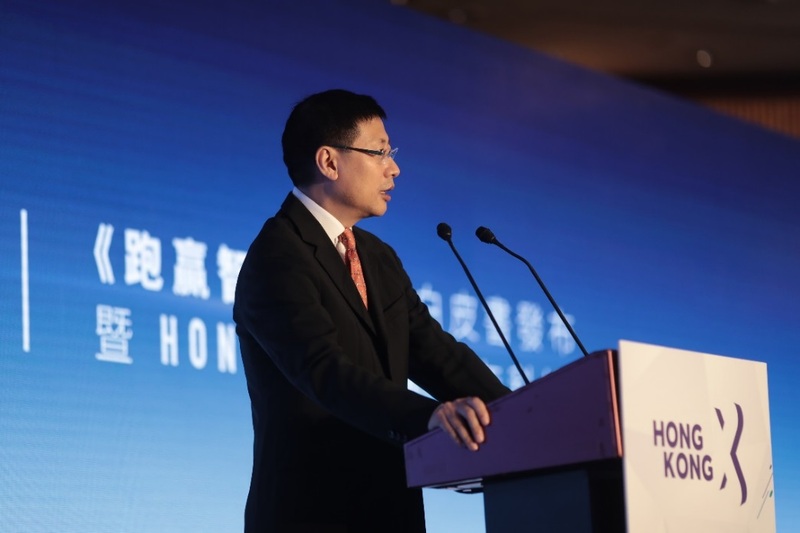 The joint force of the smart manufacturing industry in Guangdong-Hong Kong-Macau Bay Area, along with the suitable international environment in Hong Kong for advanced talents can be very powerful.’ said Pony Ma. Mr. Pony Ma brought up his own “Three Key Cards” in his speech. Strategic partners of this event include HKSTP, Cyberport, HKU, CUHK, HKUST, CityU, PolyU and HKBU. Sun Hung Kai Properties and Sino Group are sponsors of the X-Lab co-working space under HXK, while UBS is a collaborating partner. They all play an important role in HKX. The issuance of White Paper “Winning the Race in the Era of Intelligence” is the focus of this event. The White Paper was initiated by the HONG KONG X Foundation in early 2017 and released on the day of the event. HONG KONG X Foundation is founded by Sequoia Capital China which is an important part of Sequoia Capital China's corporate social responsibility and is dedicated to supporting sci-tech innovation of Hong Kong's youth. Sequoia China has always believed that, vigorous promotion and participation in the construction of a sustainable sci-tech innovation ecosystem as well as spurring the growth momentum for social and economic development are important social responsibilities and values. Under such evaluation, the White Paper was announced on the first anniversary of HKX. The paper stated that Hong Kong should dedicate itself to the ambition of becoming a sci-tech innovation center of the world, which can compare with Silicon Valley. By creating the ecosystem for sci-tech innovation to be ready for the challenges from technological development in smart era and capture the opportunities brought about by the development of Big Bay Area. The government, enterprises, schools, civil society organizations and various sections of society should work together to promote the innovation, vigorously cultivate and attract young talents with innovative thinking and abilities. Hong Kong should attract world's largest technology companies to come and set up R&D centers and introduce Hong Kong’s own innovative technologies and technical products to the rest of the world. Therefore, Hong Kong can maintain its traditional advantages in the sectors such as financial, trade, and services, as well as bringing new charms to Hong Kong by making the innovative technology as a new growth driver. 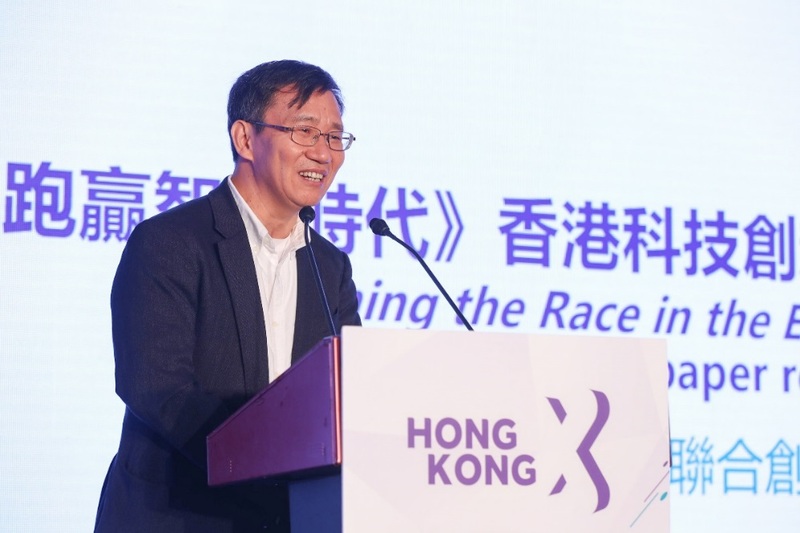 While interpreting the White Paper, Prof. LI Zexiang, a joint founder of HKX and a professor of Hong Kong University of Science and Technology, is anxious about the future development of the innovation and technology in Hong Kong. 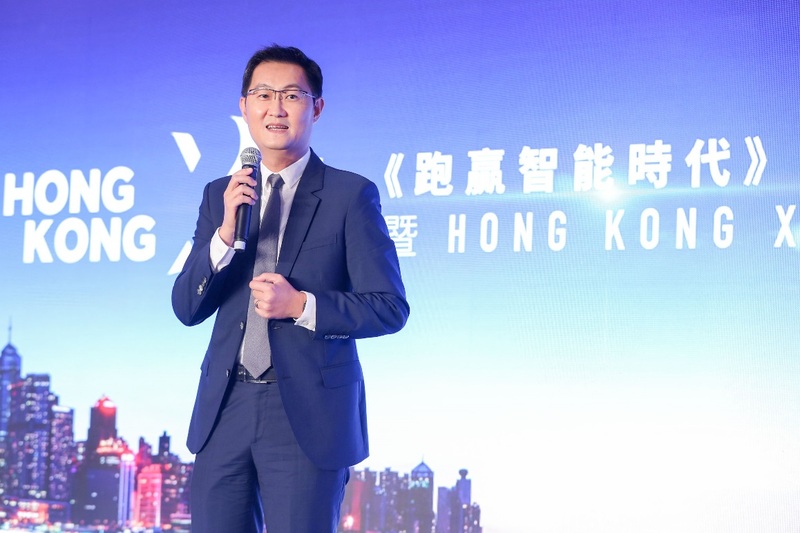 He said, ‘First of all, the intelligent technology and Guangdong-Hong Kong-Macau Big Bay Area will present an unprecedented opportunity to the development of the economy and innovation and technology industry of Hong Kong in the future. Secondly, the opportunity will be in a flash, so we should have the courage to innovate and be bold to layout and promote the construction and development to make Hong Kong the next International Innovation and Technology Centre, and make innovation and technological breakthroughs by taking unprecedented measures and efforts. Lastly, the development of Hong Kong International Innovation and Technology Centre also provides a strong technology support for the development of Hong Kong International Finance Centre’. 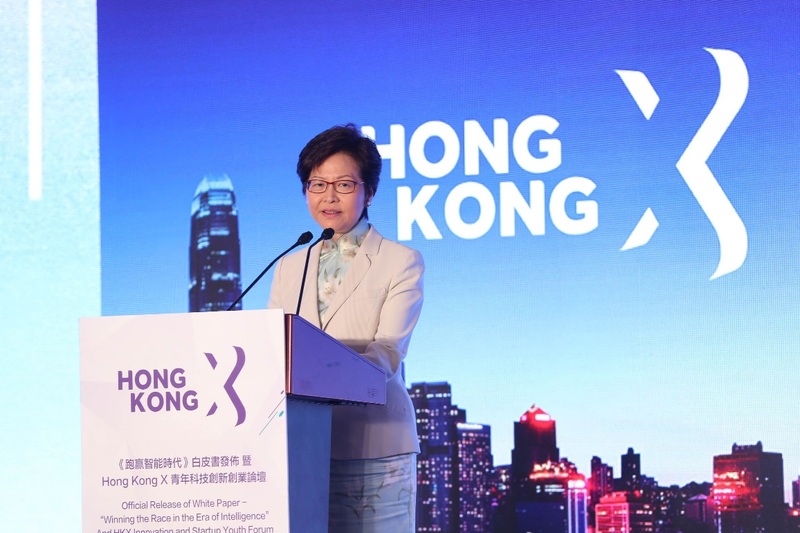 Moreover, The White Paper brought up four strategic proposals: first of all, by creating an International Innovation and Technology Centre in the Era of Intelligence should become the objective of Hong Kong's overall strategic development in the future. The Chief Executive of Hong Kong should lead the promotion of efficient communication and collaboration among various government departments, in order to vigorously promote the innovation and entrepreneurship culture among all Hong Kong citizens internally and actively carry out marketing activities for the city externally. Secondly, the paper suggested that the government should create an open sci-tech innovation ecosystem, promote communication and cooperation between different participants, actively attract global leading enterprises with sci-tech innovation genes, world-class experts in intelligent technology areas and talented entrepreneurs around the world; set up more government-guided funds and attract more investment and attention in Hong Kong. Thirdly, Hong Kong is proposed to make full use of its resource advantages and focus on the development of specific intelligent technology areas, especially focusing on the development of five areas including Big Data/AI, Fintech, Smart city, Robotics and Life sciences and Pharmaceutical. Lastly, Hong Kong should carry out a strategic cooperation with the Mainland China to speed up the construction of Guangdong-Hong Kong-Macau Big Bay Area, to create a new Silicon Valley in the world, and to form an industry chain of “R&D/incubation in HK + Smart manufacturing in Shenzhen/Pearl River Delta region” by complementing the traditional innovation model in Hong Kong with reverse innovation model in Shenzhen. Hong Kong can also help the secondary innovation of the enterprises from mainland China and help them expanding to the international market. In addition, Hong Kong should connect with Guangdong and Macau and gather all the advantages from all three regions of "software, hardware and services" as a whole. Prof. LI Zexiang appealed that Hong Kong should capture the unprecedented opportunity brought about by the development of intelligent technology and Guangdong-Hong Kong-Macau Big Bay Area, the courage to innovate and be bold to layout and promote the construction and development to make Hong Kong the next International Innovation and Technology Centre and make innovation and technological breakthroughs by taking unprecedented measures and efforts. The development of Hong Kong International Innovation and Technology Centre also provides a strong technology support for the development of Hong Kong International Finance Centre. Hong Kong should strive to become the leader in the development of the Big Bay area, create the world's new Silicon Valley and become an important rejuvenation of China. The showcases for some startups which received fund investment from HKX in the last year are displayed at the entrance of the event venue and attracted extensive attentions from the guests. During the event, Prof. CHEN Guanhua announced the list of companies that have received fund investment from HKX, covering a wide range of field like Precivax and Bacmuno in bio-pharmaceuticals field, NanoBioImaging in bio-tech instrument field, Smartsens, Etopus, Efinix and GeneSens in chip design field, SourceBrella in big data and AI field, SeasonaLife in Fintech filed, Viewider in E-commerce technology field, Aromeo and CYC in smart hardware field and various FYPs at the exploratory stage, all of them have shown the unique charms and promising prospects of Hong Kong sci-tech innovation undertaking to the public. 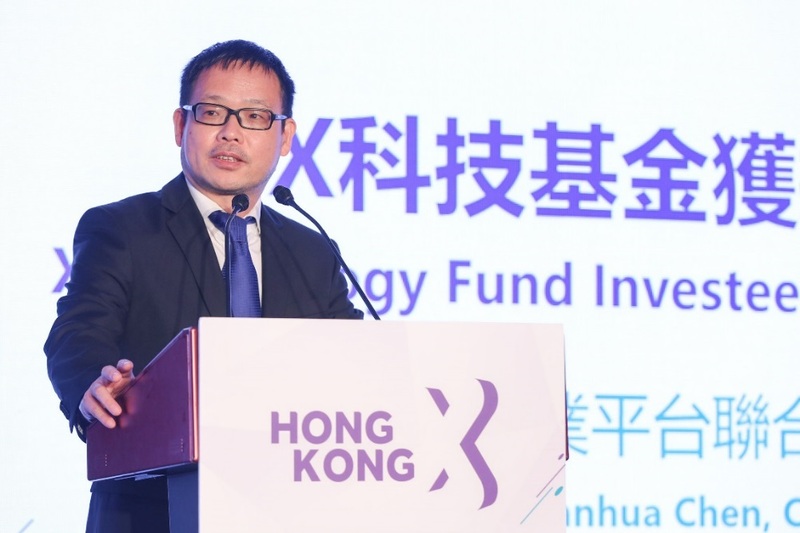 Prof. Guanhua Chen announced the list of companies that have received fund investment from HKX. The first “Hong Kong X Innovation and Startup Youth Forum” was held during the event. Prof. Tony Chan (President of HKUST), was the host of the forum. 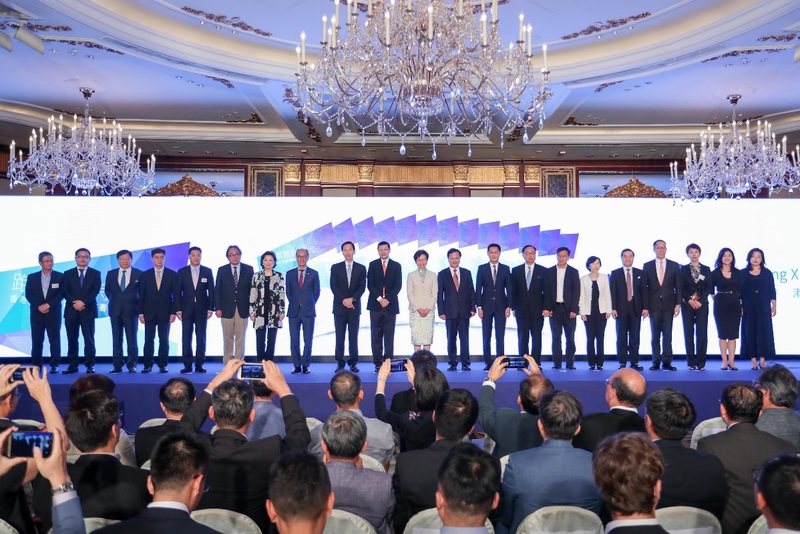 Nicholas W. Yang, JP, Secretary for Innovation and Technology, Mrs. Eva Cheng, JP, Executive Director of OHKF, Mr. XU Xiaoping, founder of ZhenFund and Ms. Erica Huang, CEO of Techcode Venture and other representatives have attended the forum as guest speakers. Over 400 experts and young entrepreneurs from academia, business, and investment community are very excited interact frequently with the speakers on the stage about how to build Hong Kong into an International Innovation and Technology Centre in the Era of Intelligence. © 2016 Hong Kong X-Tech Startup Platform. All Rights Reserved.